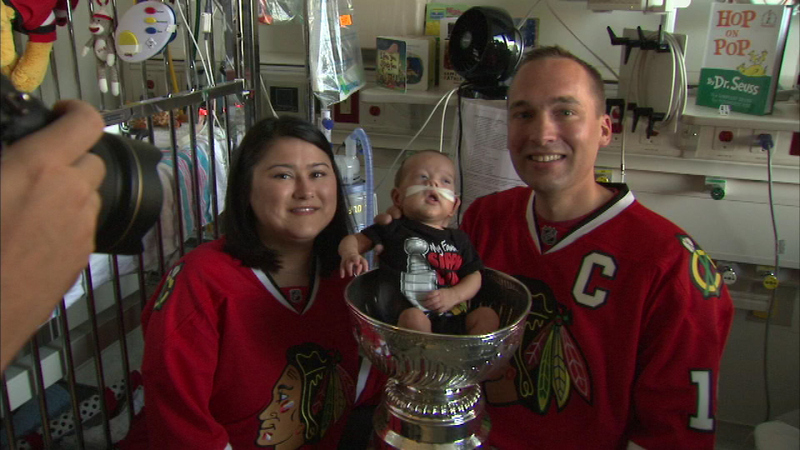 EVANSTON, Ill. -- The Stanley Cup spent part of today cheering up patients at Northshore Evanston Hospital. Blackhawks owner Rocky Wirtz and his wife Marilyn brought the cup to Evanston. There were a lot smiles and a lot of pictures. Parents loved getting that special photo of their kids in the cup.